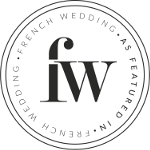 A styled wedding inspiration organized in a stunning Bastide of Provence, near Marseille. This editorial was created to suggest the elegancy, the simplicity and the delicacy of a japanese style. The theme, was chosen for the simplicity of the Japanese art and culture. Film photography & design Iliasse | Florals Les fleurs de Ninon | Planning & design Despinoy Wedding & Event | Venue La Bastide de Toursainte | Wedding gown, kimono lace & Jewellery Aurélie Mey | Stationery Callyane | MUAH Delphine Ruffini | Rentals Options | Cake Make me a cake | Favors Bastide Aix-en-Provence | Ribbons Silk and Willow | Model Roselys R.